Mueller turned down an offer by Barr to review his letter to Congress. Why do suppose he did that ? What good would it do? If Mueller suggested changes that Barr didn't want, people could still say, "Well Mueller reviewed it!" It was Barr's letter. Why do you think Mueller declined? Because he knows Barr and trusts him to be impartial. Here is some of the hysterical conspiracy. Barr thinks spying did occur on the Trump campaign and has evidence to support his belief. Just hysterical conspiracy theories! I thought Netanyahu was going to lose? That's what I've been hearing for weeks by the MSM. What happened ? How did Trump go from saying last week that Mueller and his team behaved honorably in the investigation to now saying it was treasonous? Has he seen the report? Barr didn’t deny that he had shared it with the WH. He does not have evidence. I'm not referring to anything in the Mueller report. 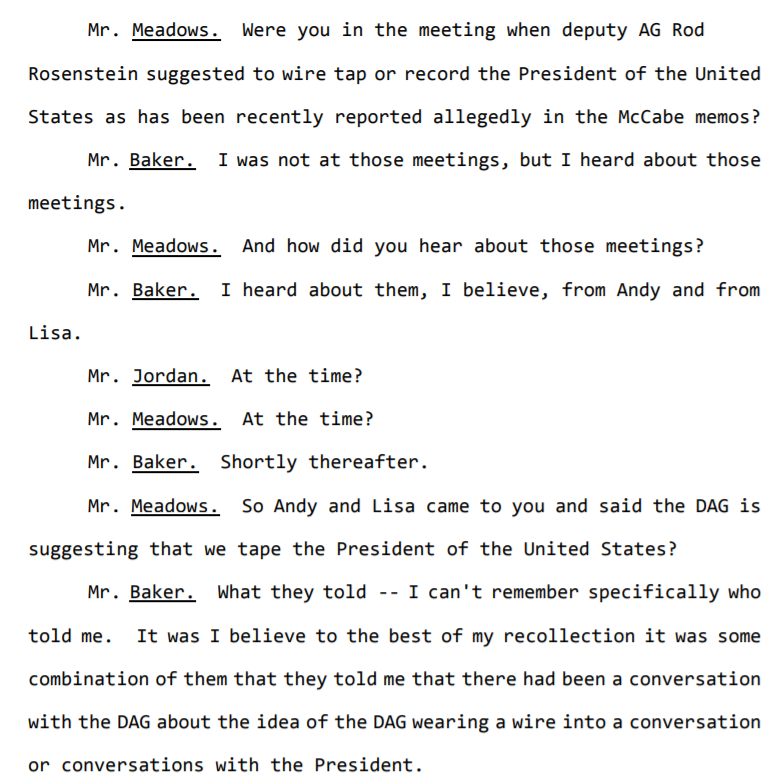 Comey, Clapper, Brennan, Strozk, Page, McCabe et al. It's all coming soon I believe. What do you think of a Trumps change of tone? Basically what I am getting at is the republicans say the democrats opened an investigation with no evidence so they want to investigate the democrats even though there is no evidence. If you don't think evidence exists of illegal surveillance of all things Trump than you have not been paying attention. Hint, you have to watch watching MSNBC and CNN. I don't watch the news. Please post evidence. As the quote I posted shows, Barr said there was none. I'll agree Barr said he needs to see if the surveillance was adequateley predicated. But I also believe he knows more than you think he knows. Dianne Feinstein does not look comfortable when Graham brings her up. They absolutely should check and make sure everything was done according to proper procedures. If people don’t think there are democrats with dirt on their hands, they are crazy. Former Obama White House counsel Greg Craig expects to be indicted in the coming days on charges stemming from work he performed for Ukraine in 2012, Mr. Craig’s legal team said.